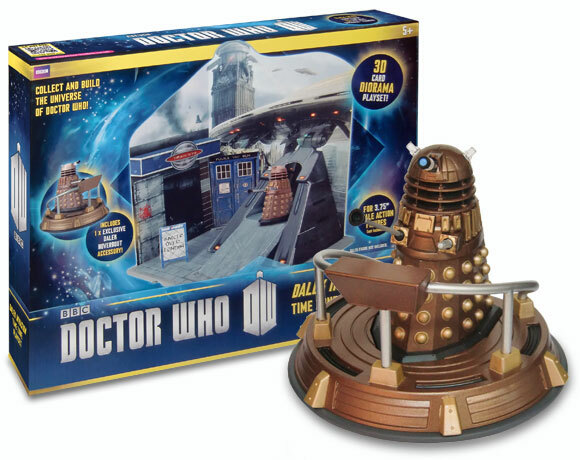 Collect and build the universe of Doctor Who with these 3D card diorama playsets that feature different time zones visited by the Doctor in the hit TV series. You can travel between different time zones or clip the sets together to build bigger ‘zones’. 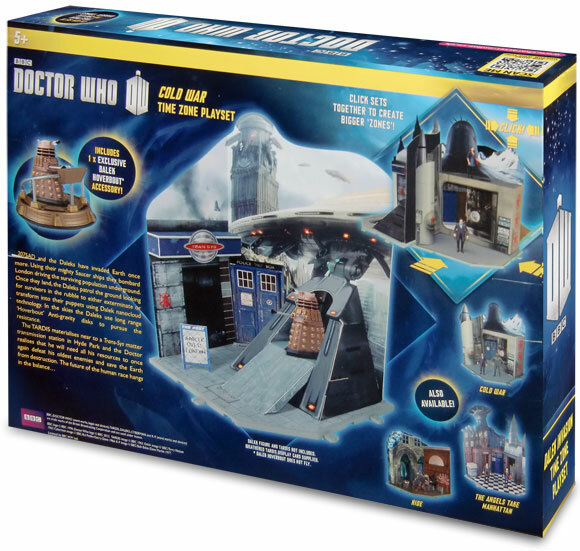 The playsets are in scale with the Doctor Who 3.75-inch action figures so you can create your own adventures or simply display your collection. There are two Time Zone playsets to collect. 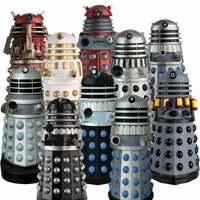 Dalek Invasion; 2075AD and the Daleks have invaded Earth once more. Using their mighty Saucer ships they bombard London driving the surviving population underground. Once they land, the Daleks patrol the ground looking for survivors in the rubble to either exterminate or transform into their puppets using Dalek nanocloud technology. In the skies the Daleks use long range ‘Hoverbout’ Anti-gravity disks to pursue the resistance. The TARDIS materialises near to a Trans-Sys matter transmission station in Hyde Park and the Doctor realises that he will need all his resources to once again defeat his oldest enemies and save the Earth from destruction. The future of the human race hangs in the balance. 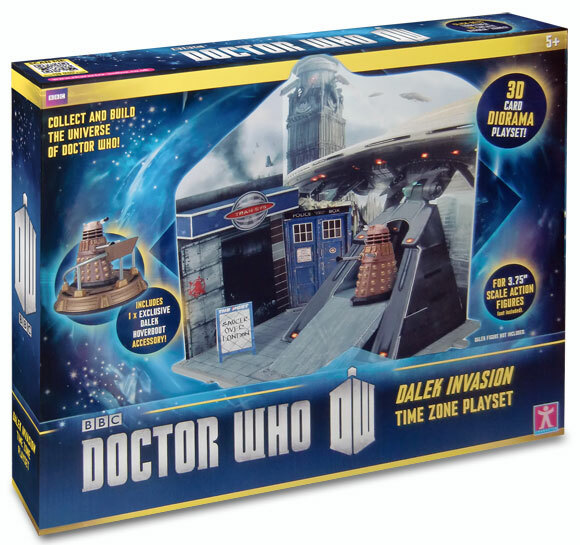 Dalek Invasion Time Zone Playset includes 1 exclusive hoverbout accessory. One supplied. For ages 5 years and over. booboo is it ok if I use your photos of the 3.75 figures (new and old) for my website? The screws were the same with my one, so I used all purpose adhesive glue and a bit of tape and now I’ve no problem. it is imposble to build!! it is hard to build!! I got this set today, it’s hard to put together, but the Hoverbout is good. 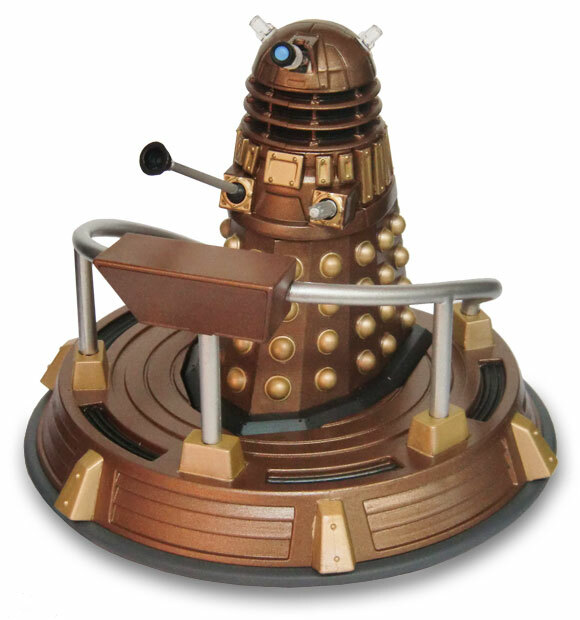 Can you fit a 5″ Dalek in the Hoverbout or do you need a 3.75″ Dalek? 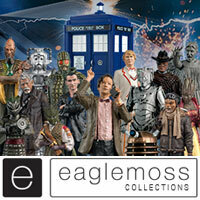 its a 3.75 dalek only. they are made for this range. they arent the easiest instructions to follow. i got the set up eventually after much frustration with the assembly. how apart from bending does the saucer over london sign stay up? the flaps at the back are opposite each other. Put it this way sellottape was used. is their a review on this yet???? I agree with you for a lot of reasons. 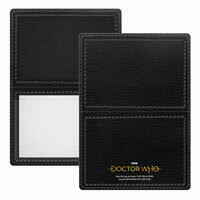 Its my birthday on the 8th going get this! 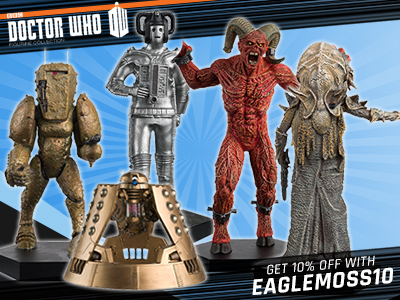 I know the QR code on the figures just sends you to a YouTube video of the advert for the character building Dalek ship. 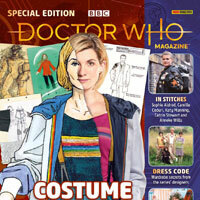 Strange that this set is from a 1st Doctor story and the rest are all from the last series. @The Driver…from The Asylum of the Daleks? 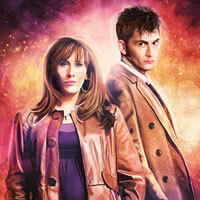 I cearly missed the scene that featured the Daleks invading London. 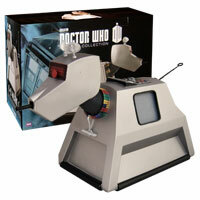 It wasn’t in Asylum of the Daleks. 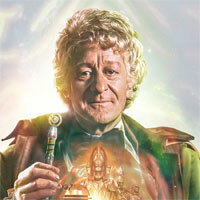 It’s basically a modernized version of The Dalek Invasion of Earth, I guess for the 50th. Kinda odd they’d invade 2075 when they already conquer it by 2164. 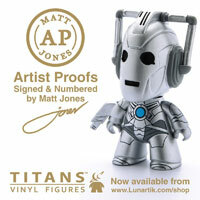 Is it possible to use 5″ figures in these sets? 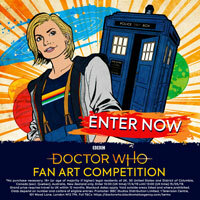 EDIT: Is there a dalek stuck to the hover-thing?